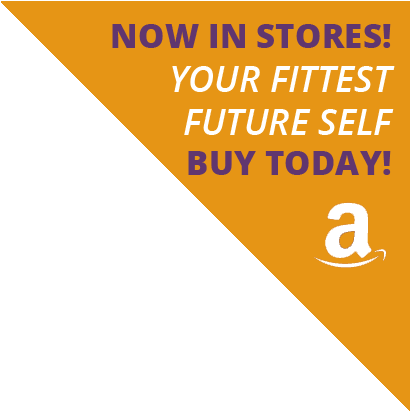 How to Find “Your Fit”; learn how to create the motivation needed to connect the dots between wanting to be active and actually being active! the difference between healthy striving and an unproductive quest for perfection. Learn how to make choices today that will create the fitter and healthier version of YOU that you have always known you could be. You’re never “too busy” to prioritize movement: motivational tricks and scheduling strategies to successfully balance work, family, social, and health obligations. It is possible to “find your fit” even when life “takes over.” Prioritizing motion is all about finding solutions, not excuses—creating opportunities even when those opportunities seem nowhere to be found. 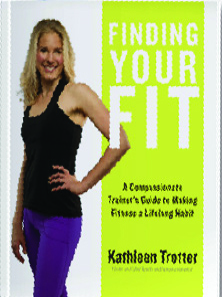 Kathleen will outline simple strategies one can utilize to help attain a healthier, more balanced, and active lifestyle. Aiming to complete an exercise program that is too demanding is counterproductive; intense, unrealistic goals are difficult to achieve—not to mention sustain. “Best laid plans” are useless without follow through. Typically, what lies between “wanting to be active” and actually “being active” is the right self-talk and motivation incentive. Kathleen will outline the motivational tricks and productive self-talk needed to actually enact your fitness and health plans. These include the “Ten-minute rule,” using an exercise calendar, getting an accountability buddy, and journaling. When it comes to health, action is not the automatic child of education; having knowledge does not inherently imbue us with the ability or determination to act. Knowing what to do is only half the battle — the easy half. Adopting a healthier lifestyle — rather than just talking about becoming healthier — requires the development of an individualized, flexible — resilient — mindset. Your mindset is your inner dialogue — your “self-talk.” Self-talk is the relationship you have with yourself — the relationship you have with your “inner roommate.” Self-talk informs our mindset towards life, and thus our choices and actions. Targeted and individualized self-talk facilitates “follow-through.” Ultimately our self-talk is the most important relationship we have in life. Lasting health change can only occur with improved self-talk. Creating a healthier, more productive, more compassionate inner dialogue doesn’t “just happen.” You have to actively create it. Not a “gym person”? No problem—“find your fit” at home. A home gym is convenient and effective; learn simple yet effective ways to build a home gym without breaking the bank. The art of “self-talk”; learn to find the missing link between knowledge and action.